“Why are there so many songs about rainbows and what’s on the other side?” – Jim Henson’s Rainbow Connection. People have found this wonder of nature astounding, mesmerizing, amazing, inspiring, and beautiful. Rainbows have been the source for stories of bridges to other dimensions and pots of gold at their base. Truly, one of our world’s wonders. The rainbow, we know from science, is caused when light passes through water droplets, usually when a rainstorm is followed by a sunlit break in the clouds. It comes in the form of an arch across the sky, sometimes by itself, sometimes doubled, a spectrum of colors frequently including red, orange, yellow, green, blue, indigo and deep purple. No matter how many times I have seen a rainbow across the sky, I cannot just ignore its beauty. It is graceful, colorful, and wondrous. And it adds such a range of amazing colors to the sky. “Rainbows are visions, but only illusions, and rainbows have nothing to hide.” – Jim Henson’s Rainbow Connection. Not only have rainbows inspired songs, but they have inspired many works of fiction. From leprechauns and their pots of gold to a means of travel between vast distances of time and space, rainbows can provide a great deal of inspiration. Have you ever tried to chase down the base of the rainbow to find its beginning and end? Great arch of color crossing the sky like nothing else in nature. Rainbows have taken on other, more important meanings. Rainbows have been used to symbolize hope, to express a unity of color and those things that supposedly make us different being one, whether that is race or sexual orientation or nationalism or what-have-you. The rainbow and its separate but equal colors shows us how no matter our differences, all are part of the greater whole. 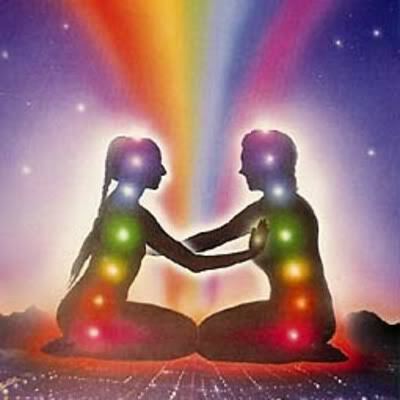 Rainbows are the ultimate symbolism of the oneness of everything, no matter how different its components might appear. Songs, stories, art, even various religions have explored the many hues of rainbows. Different visions of the multi-colored wonder cause us to open our eyes to worlds of imagination. There is a purity in the rainbow arcing across the sky. It is the most simple expression of its various colors within nature itself, lighting up the sky in ways the sun and moon and stars cannot. Rainbows give us nature’s colors in another manner akin to flowers, but loftier. 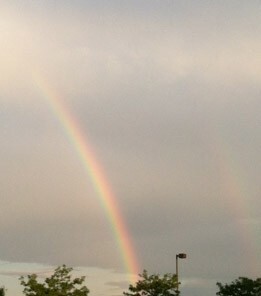 I defy you to not stop and observe the next rainbow you come across. Truly, a natural wonder of our wondrous world. “Someday we’ll find it, the rainbow connection. The lovers, the dreamers and me.” – Jim Henson’s Rainbow Connection. I am MJ Blehart, colorful author of “Wednesday’s Wondrous World”. Every week I share a wonder of this amazing world, and I hope you will enjoy the journey with me!